November 16, 2015 – New Orleans. Atelier Vie, home of Real New Orleans Spirits, is pleased to announce two awards from the New York International Spirits Competition held recently in New York City. Atelier Vie received an individual award for “Louisiana Gin Distillery of the Year” and also a Silver Medal for Euphrosine Gin #9, a full-flavored American gin. In addition to these two most recent awards, Euphrosine Gin #9 has also previously received a Gold Medal from the American Distilling Institute (ADI), a Best of Category from ADI, a Gold Medal from the American Craft Spirits Association (ASCA), and a Silver Medal from Beverage Testing Institute (BTI). 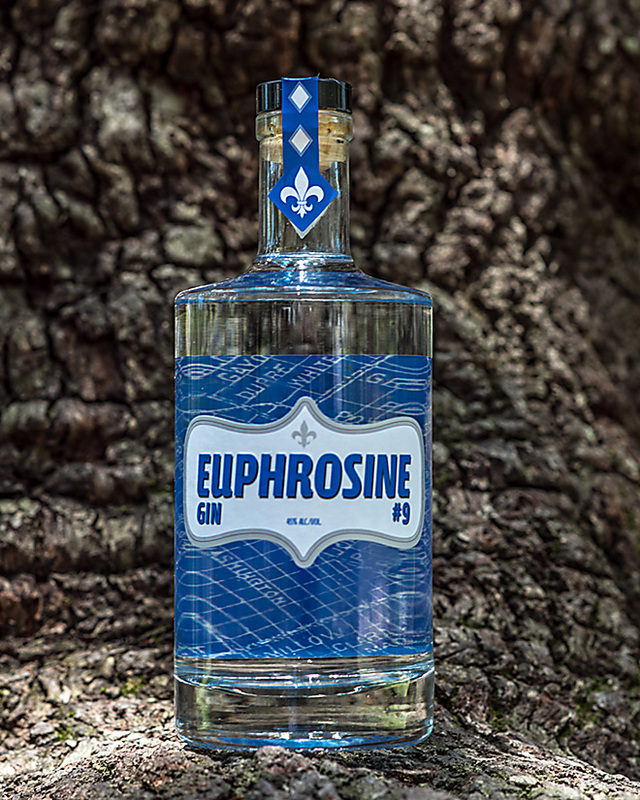 “This ongoing series of wins shows that Euphrosine Gin #9 can hold its own at all levels of competition. The New York competition included spirits from around the world and some of the biggest companies in the business,” said Jedd Haas, President of Atelier Vie. In addition to Euphrosine Gin #9, Atelier Vie also produces a barrel-aged version of Euphrosine, called Barrel-Finished Reserve. Atelier Vie recently released the second bottling of Barrel-Finished Reserve. The Atelier Vie line-up also includes Toulouse Green, Absinthe Verte; Toulouse Red, Absinthe Rouge, and Buck 25 Vodka; an overproof vodka designed for creative mixologists to craft their own spirits flavors through rapid infusion. All spirits are available to retailers through International Wine & Spirits of Louisiana; and select spirits are also available in Arkansas, Illinois, and Indiana. The company’s spirits, are available directly from the distillery during weekend Bottle Sales Hours. Visitors are welcome from 10-2 on Saturday and Sunday; visitors should see the company web site for directions. This entry was posted in Atelier Vie, Awards, Euphrosine Gin #9, Press Releases. Bookmark the permalink.